The number of new cars registered was up 3.5% in June – the fourth successive monthly increase. Overall the new car market in the UK has grown 2.7% in 2012 so far. More than half of new car registrations were to fleets and businesses, with 42.2% being registered to private buyers. Nonetheless, private sales are up 8.7% over 2011. "Driven by demand from private buyers, June new car registrations grew 3.5% to push 2012 half year volumes through the one million mark," said Paul Everitt, SMMT Chief Executive. "Despite domestic and international economic concerns, UK motorists are responding positively to new products and the latest fuel-efficient technology. The industry has performed better than expected in the first half of the year and we will now need to work hard to sustain growth." Diesel cars are slightly more popular than petrol models, accounting for 51.2% of new registrations versus 47.4% of petrols, with the remainder made up of alternative fuel vehicles, such as hybrids. The most popular new car in June was the Ford Fiesta, with 9063 new registrations, followed by the Vauxhall Corsa, with 8800, and the Ford Focus 6937. 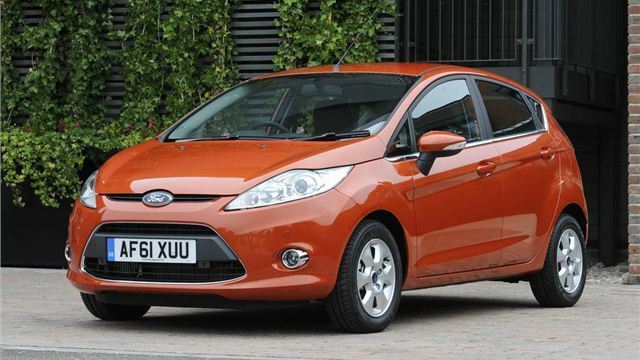 The Fiesta has been the most popular car every month of 2012.